Werner's Cairns blog: Yawning explained. Yawning is the best medicine for brain health. Contrary to popular belief, yawning is not necessarily an indicator of boredom, restlessness, disinterest or even sleepiness. Yawning is actually an important function of the body that helps the brain both to function better and to maintain appropriate temperature. According to researchers from New York University in Binghamton, yawning is the body's way of regulating the temperature equilibrium so that we can think better. This is why many people feel the need to yawn when sitting in warm rooms regardless of whether or not they are physically tired. The research is contradictory to older research that pegged yawning as a response to reduced brain oxygen levels, and instead attributes it to a reenergizing process by which the body is able to transition from one state of mind to another, such as from being asleep to being awake. "Yawning helps us relax," explains Patt Lind-Kyle, therapist and educator, in her book Heal Your Mind, Rewire Your Brain. "It lifts our moods. It's good stuff. And it's free." Other research indicates that yawning acts similarly to antidepressants in that it helps block the reuptake of serotonin in the brain so that these neurotransmitters can instead be more readily available for use in brain receptors. 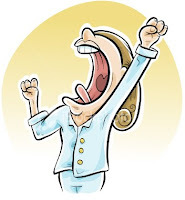 Andrew Gallup, author of the 2007 study that made these discoveries, was cited in a recent Chicago Tribune article as saying that sleep deprivation can raise body and brain temperature as well, so there can be a connection between yawning and sleepiness. While he encourages the sleep deprived to get more sleep, he also believes that doing things to cool yourself down, such as taking a cold shower or jumping in a pool, will help to alleviate yawning as well. According to a January 2010 article at kpcnews.com, yawning is also associated with an increase in dopamine, the "pleasure and relationship-bonding" chemicals in the brain. Dopamine levels are raised in response to yawning, and vice versa, bringing about feelings of happiness and connectedness with the people around us. Other Sources: Yawning has many benefits for the brain. Why we yawn: To cool our brains. Werner, I found your posting very interesting. 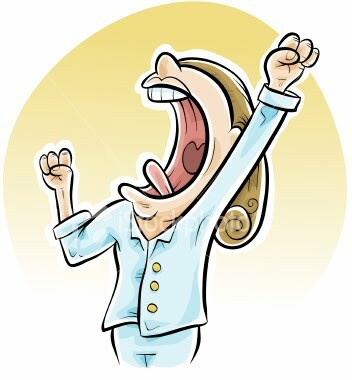 (All of them) As a frequent (too frequent) yawner, I started to think that there is something wrong with me. So, I was pleased to read that it is actually good for you, especially the brain. Needless to say, I’ll do now extra yawns to stimulate it. Wow, that was interesting reading. I never knew that yawning had “health” benefits. You are never too old to learn. The iconic Brisbane Story Bridge.